Baton Rouge, LA - A marsh fire in the Bayou Sauvage National Wildlife Refuge in eastern Orleans Parish has Louisiana Army National Guard helicopters dumping water on the blaze. State Department of Environmental Quality officials have issued an air quality alert for the New Orleans and Baton Rouge areas because of tiny particles contained in the smoke. At least minor impacts will be possible across most of southeast Louisiana, with day particulate matter concentrations fluctuating between moderate and unhealthy. These particles are unhealthy for sensitive groups such as children, the elderly, and people with heart trouble, asthma or other illnesses that make breathing difficult. BATON ROUGE, LA - SU Ag Center scientist serves on international board. 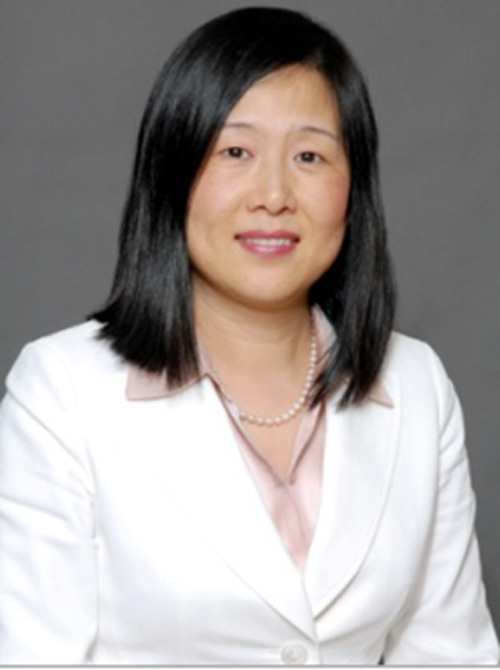 Dr. Zhu Hua Ning, Professor of Urban Forestry at the SU Ag Center was recently elected to serve as a member of the Board of Directors for the International Society of Arboriculture (ISA). The Board of Directors is responsible for strategic direction for ISA and makes decisions that are in the best interest of ISA. Through research, technology, and education, the ISA promotes the professional practices of arboriculture and fosters a greater worldwide awareness of the benefits of trees. Dr. Ning has been a very productive member of the ISA for 16 years. She currently serves on the Editorial Board of the Journal of Arboriculture and Urban Forestry as an Associate Editor. Ning has served the ISA as Vice president, President-elect and President of the Arboriculture Research and Education Academy. She also served on the ISA Conference Program Committee, Student Activity Committee, and Science and Research Committee. BATON ROUGE, LA - SU Ag Center kicked off its four-parish Back-to-School Summit in Opelousas on August 18. Eighth-grade students are entering a time in their lives that will be full of temptation and pressure to make poor decisions, which the Southern University Southwest Center for Rural Initiatives hoped to curtail with its annual Back-to-School Summit. "They're at a very critical age," center area agent Edna LaStrapes said. "They're surrounded by negative peer pressure." The four-parish Back-to-School Summit entered its 11th year in St. Landry Parish on Thursday and will continue for two days with every St. Landry Parish eighth-grade student participating in the program at the Opelousas Civic Center. BATON ROUGE, LA - SU Ag Center’s agent serves as Vice President of Association. The Louisiana County Agricultural Agents Association elected Terrence Marshall, County Agent (1890) as Vice- President of the association at the annual meeting held in June. 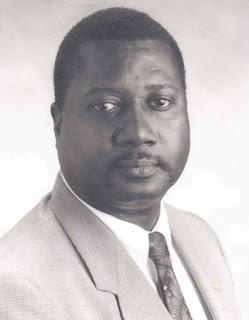 Marshall is a 34-year employee of the Louisiana Cooperative Extension Service, working for both the Southern University and LSU Agricultural Centers. He began his career in Ascension Parish in 1977, and transferred to East Baton Rouge Parish in 1979. He has been a member of the association since 1992. He has served three terms on the Board of Directors of the group. BATON ROUGE, LA - SU Ag Center’s Sharon Wilder received a Certificate of Appreciation from the United States Department of Agriculture's Center for Nutrition Policy and Promotion for her continuing support as a Community Partner within the Nutrition Communicators Networks. She received a package for her efforts in reaching the community and audiences with the 2010 Dietary Guidelines and MyPlate. MyPlate is the new version of the dietary guideline developed by the USDA. Included in her package is the Communications Message Calendar, which will aid in dissemination of messages and programs to consumers in a coordinated, targeted and powerful way. Wilder is SU Ag Center’s nutrition assistant for FF-News in East and West Carroll Parishes. 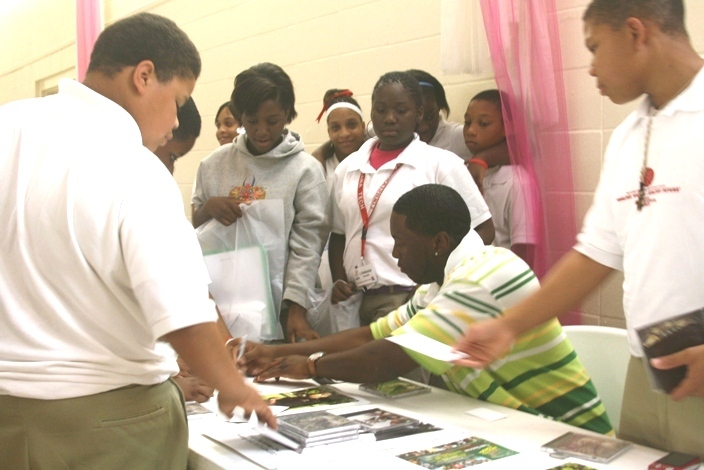 This parish-wide event for eighth graders is a collaborative effort with the Southern University Agricultural Research and Extension Center, through its Southwest Center for Rural Initiatives; the Louisiana Department of Education; and 40 other non-profit organizations, state agencies, local municipal governments, and businesses. BATON ROUGE, LA-Fatemeh Malekian, Ph.D., Associate Professor, Southern University Agricultural Research and Extension Center and adjunct faculty at Louisiana State University, received the 2011 Elizabeth Fleming Stier Award for pursuit of humanitarian ideals and unselfish dedication resulting in significant contributions to the well-being of the food industry, academia, students, and the general public. Malekian received $3,000 honorarium from the New York Section and a plaque from the Institute of Food Technologists. The story was printed in the May 2011 Phi Tau Sigma Newsletter, Member News section. To read the full story, please visit http://www.ift.org/community/phi-tau-sigma/newsletter/0511phitausigma.aspx. This parish-wide event for 8th graders is a collaborative effort with the Southern University Agricultural Research and Extension Center- through its Southwest Center for Rural Initiatives, the Louisiana Department of Education, and 40 other non-profit organizations, state agencies, local municipal governments, and businesses. BATON ROUGE, LA, 8/1/2011 - On July 10-12, Dr. Dan Collins, professor, urban forestry, SU Ag Center, and four students from the Department of Urban Forestry at Southern University, Baton Rouge, LA, visited Penn State University to participate in a Short Course on Agricultural Plant Biosecurity developed by the Department of Plant Pathology. Penn State Plant Pathology and Southern University Urban Forestry are collaborators in Agricultural Biosecurity Education. The course was funded in part by a USDA/NIFA Capacity Building Grant to Enhance Graduate Education and Training in Global Food Security and Agricultural Biosecurity. For the full story visit: Penn State University.